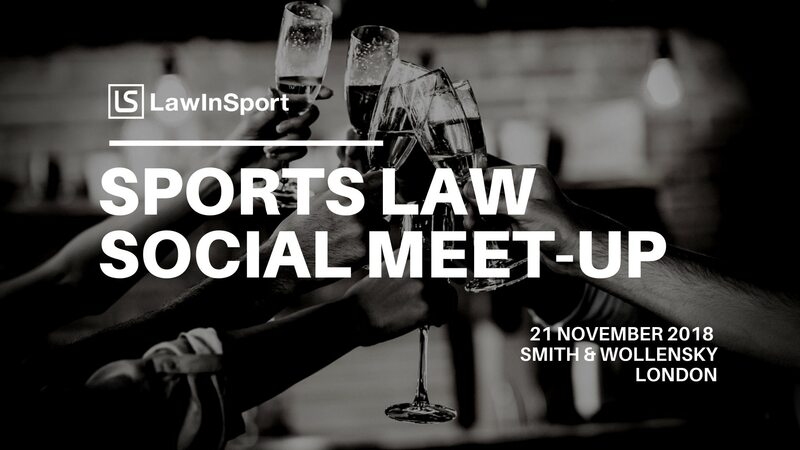 As part of our Plus Membership, LawInSport is running a series of informal sports law social events where people who are passionate about sport and law can meet to discuss their passion outside of the traditional formal events. Arrive, grab a drink and find someone to talk to. You will be in good company and be safe in the knowledge everyone at the event will at will be happy to talk you about sport. This is a social event; people want to come and enjoy themselves with out fear that someone will be trying to hard sell their services. Drinks are provided on arrival. Priority is giving to LawInSport Plus members. You must work in the sport business or legal sectors or are on a recognised sports law course. Free for LawInSport Plus Members. £20+VAT for non-LawInSport Plus Members. Theodore Roosevelt room, Smith & Wollensky, The Adelphi Building, Covent Garden Riverside, 1-11 John Adam St, London, WC2N 6HT. Note: there are a limited number of spaces available so tickets will be on a first come first serve basis.